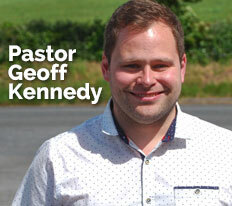 If you're visiting Ards Evangelical Church for the first time, you can expect the same thing that many now look forward to every week. A place to continually grow in the life that we've been created to live in relationship with Jesus. Thank you for visiting the website for Ards Evangelical Church. We are an independent, evangelical Church, not affiliated to any central body, but responsible solely to the Lord and committed to glorifying God and extending His kingdom by seeing people transformed. AEC is a Christ-centred, caring, community Church; a Church for all the family. We have been in existence since 1995, on the beautiful Ards Peninsula in County Down, Northern Ireland. The Lord has been good to us, and over the years we have experienced a real sense of His presence and have seen his work develop through our ministry. We are brothers and sisters with those who have come into the family of God by accepting Jesus Christ as our Saviour and Lord. We welcome you to our Church community and invite you to share in our fellowship. Our mission statement encapsulates the fundamentals of our faith and our zest for its expression.. ...Being transformed by the renewing of our minds into sincere followers of the Lord Jesus Christ... Keeping the core on fire! Six Elders, including myself, and four Deacons have been chosen by the membership of the Church, and are responsible for the day-to-day running of the Church.